Oh, it truly is the little things that make my daughter happy. I’m glad for it, but as it’s something as simple as a flatbread it makes me sad, just a little. Nowadays with her gluten intolerance, many of her favorite foods are tough to come by or not available, unless mom gets creative and does her homework. 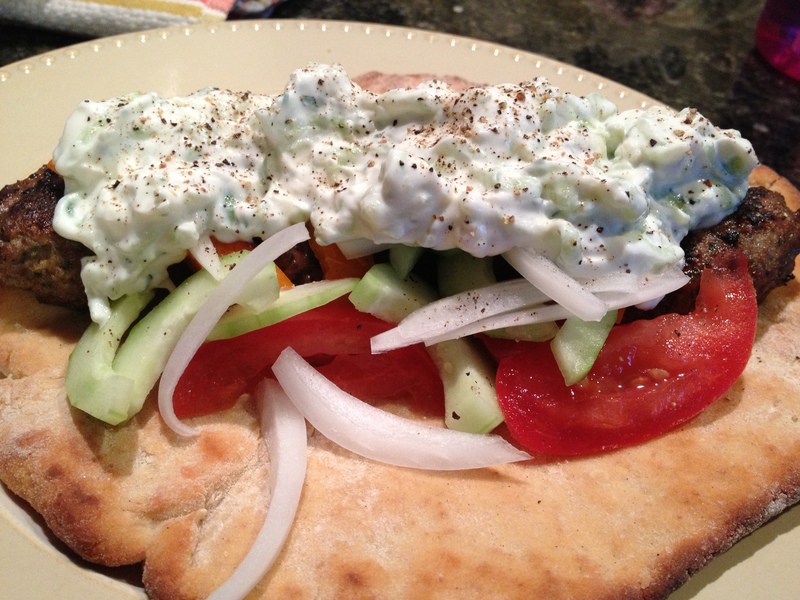 One of our favorite dinner meals are lamb kebabs done Moroccan style with tzatziki sauce (i was inspired by alton browns version, using greek FAGE yogurt), tomatoes, cucumber, white onions and grilled peppers. It hits all the main food groups so it’s a variation of a ‘one pot’ meal for sure. Perfect for a sunday sabbath day, cold outside but sunny and cheery. Not a bad day to experiment. My only modification was to brush the top with some extra virgin olive oil and turn the convection fan on. I also flipped them at the 6 minute mark and let them go another 2 minutes. VOILA. AWESOME-Y GOODNESS! 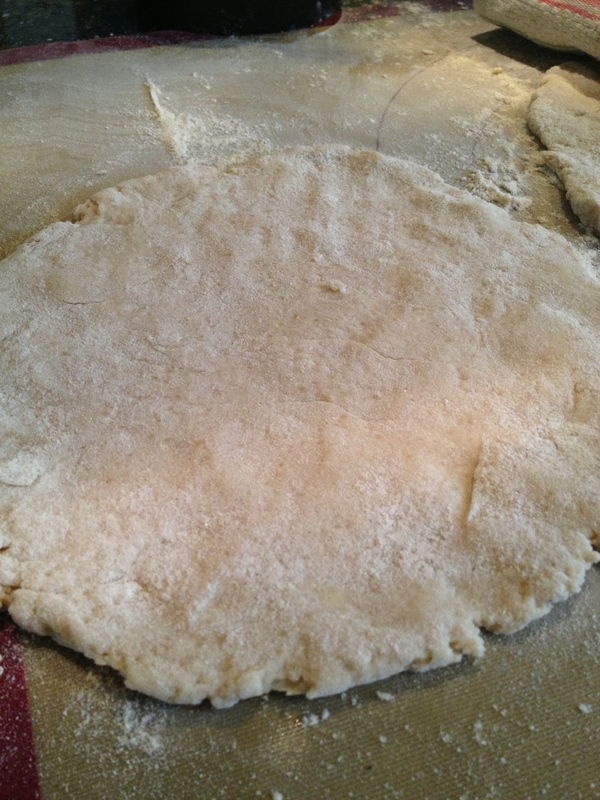 This pita recipe is designed to make pita pocket bread. That was not my goal, so I was not disappointed at all when only one puffed as it should. In our family, we don’t care for the pita pockets, as they always seem tough. 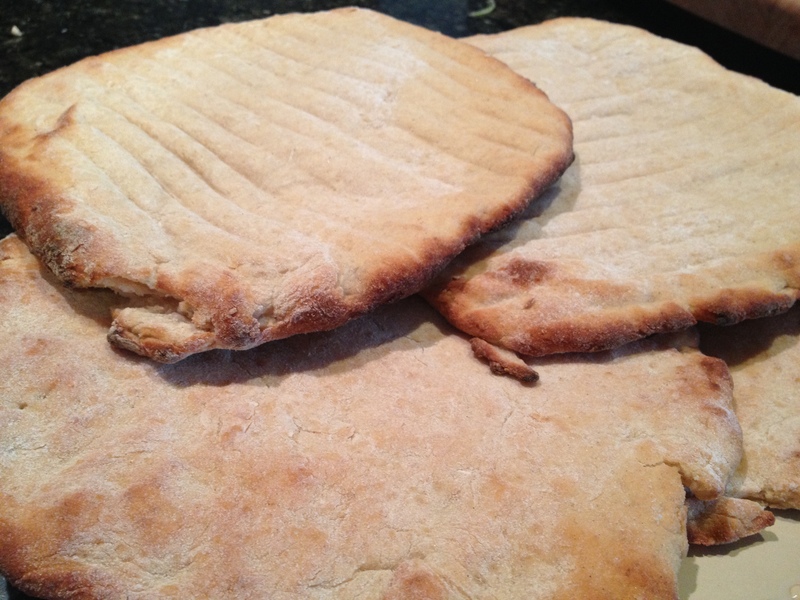 No, we prefer the ‘flatbread’ style of pita, which this recipe produces wonderfully. I can already envision my famous hummus with fresh baked gluten free pita. My daughter will be in heaven! 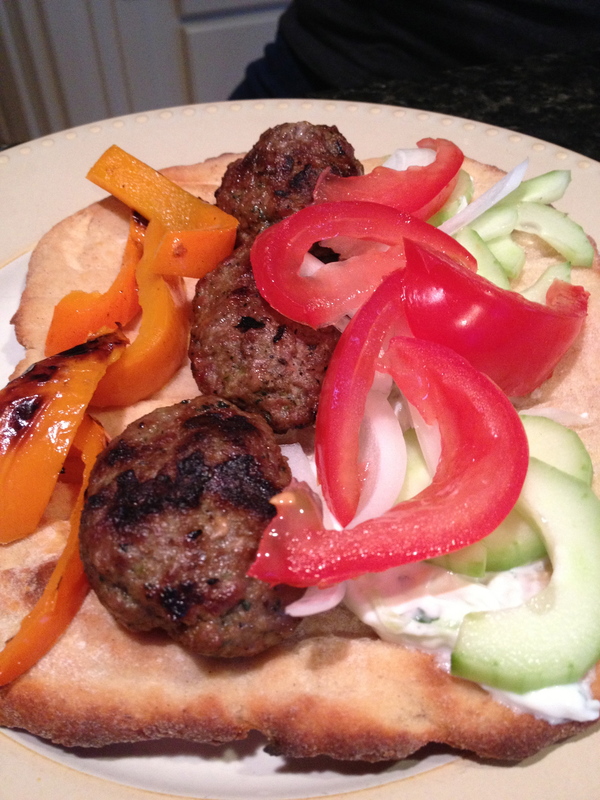 This entry was posted in Gluten Free Recipes & Ideas, Uncategorized and tagged gluten free baking, gluten free dinner, gluten free flat bread, gluten free pita, gluten free pita bread, gluten free recipes, grilled meals, grilling, lamb kebabs, mediterranean food, Moroccan food, pamela's bread flour, pita bread, tzatziki. Bookmark the permalink. I bet this dish tasted as good as it looks.